Learning methodologies in today’s era have seen a major shift from offline to online teaching. Undoubtedly, online learning in India is to stay for long. So, the answer to the question ‘should I do an online course’ is a definite yes for all those who wish to expand their horizons of learning. 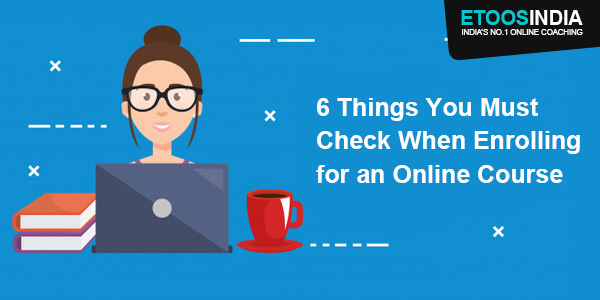 But before getting into an online course, students should be aware of certain factors that need to be checked before enrolling themselves. 5. Are the courses cost-effective? Before buying any course, get details of the complete cost of the courses with the additional features it provides. Not all courses cost the same. So, before signing up & making the payment, analyse your chosen course with other next best options. This will help you make a decision on which online course is the best for you. Go through its ratings and reviews available. Online courses are often flexible & cheaper than offline coaching. 4. Get complete details of the courses: The faculty rendering lectures should be properly analysed. Make sure the data or the content of the course should be up-to-date. Also, evaluate these points: length of the Online video lectures, type of study material, is there a facility to repeat the lectures, can the lectures be played n number of times for revision purpose, etc. 3. Is the method of teaching engaging? Online courses teach you from e-books, study materials, ppt(s) and video lectures. A student should choose the option which suits them best. Mostly, video lectures are in demand but still go for their free trial or demo lectures just to get a glimpse of their method of teaching. 2. Know the faculty: An experienced faculty will for sure deliver effective content. All those students who wish to get themselves registered for an online course should start watching the faculty’s video lectures before subscribing or purchasing any course. Get familiar with their teaching styles and then take any further action. 1. Content is the ultimate judging parameter: The first thing a student looks at is the quality of the content because this is what they are going to consume. Henceforth, any coaching institute should focus on preparing the best content possible. The content should be designed in such a manner that it covers all the topics and syllabus of the competitive exam. 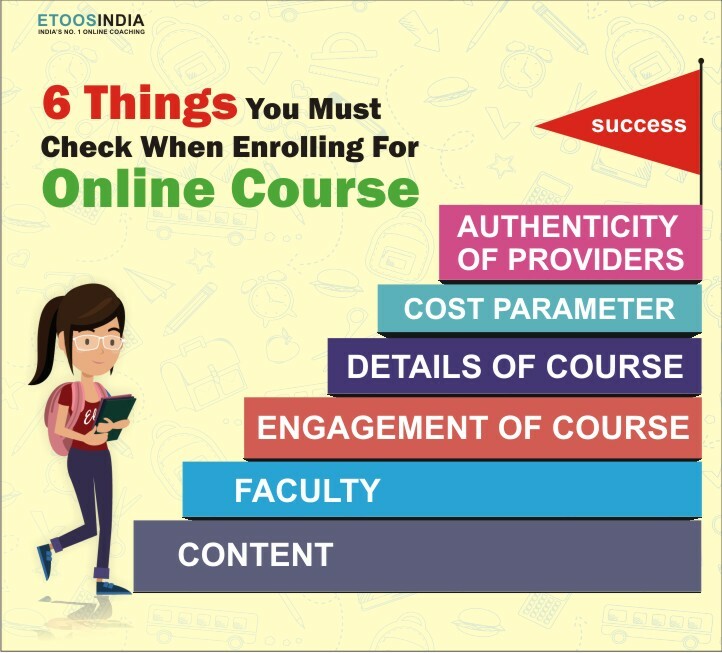 What is the online course registration system at Etoos India? At India’s No.1 Online Coaching, the registration process is very simple and hassle-free. 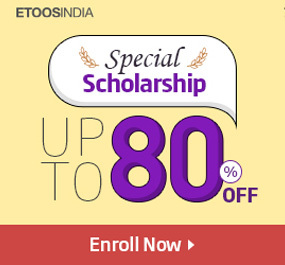 A user can get registered for free by simply visiting Etoosindia Site. After signing up, you may then go through the free trial and once satisfied a customer can pick a faculty & the course as per convenience. Where to find online courses? Get yearlong, topic-based, problem solving, final revision & crash courses for JEE and NEET prepared by the best of the faculty. Conclusion: Once you are through all the above-mentioned points, you are ready to embark on a new journey of smart learning! 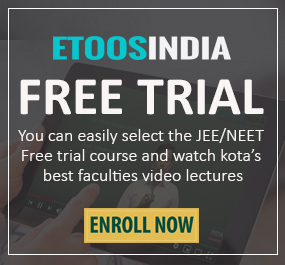 Prepare for competitive exams like JEE and NEET from a trustworthy online coaching institute like EtoosIndia. What are your opinions? Tell us in the comment section below. For more such updates, keep following our blog.